The new book by the bestselling authors of Plato and a Platypus Walk Into a Bar is a hilarious take on the philosophy, theology, and psychology of mortality and immortality. That is, Death. The authors pry open the coffin lid on this one, looking at the Big D and also its prequel, Life, and its sequel, the Hereafter. Philosophers such as Schopenhauer, Nietzsche, Camus, and Sartre have been wrestling with the meaning of death for as long as they have been wrestling with the meaning of life. 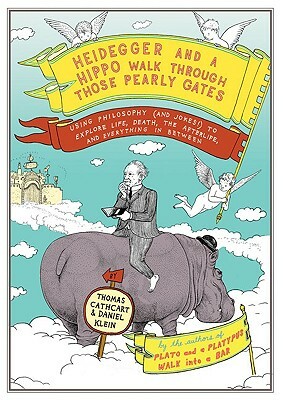 Fortunately, humorists have been keeping pace with the major thinkers by creating gags about dying. Death’s funny that way—it gets everybody’s attention. Death has gotten a bad rap. It’s time to take a closer look at what the Deep Thinkers have to say on the subject, and there are no better guides than Cathcart and Klein.